Priority Automotive, TCC and Norfolk Sheriff's office partner to train nonviolent offenders as auto technicians. 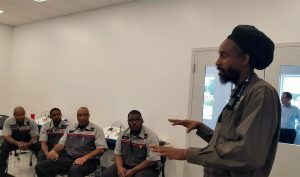 Priority Automotive is joining Tidewater Community College and the Norfolk Sheriff’s Office to give repeat, nonviolent offenders a new lease on life. Gov. 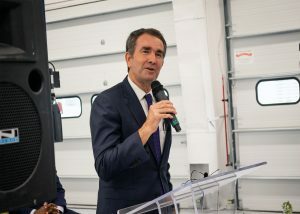 Ralph Northam at the Priority Technical Training Center in Chesapeake. Virginia Gov. 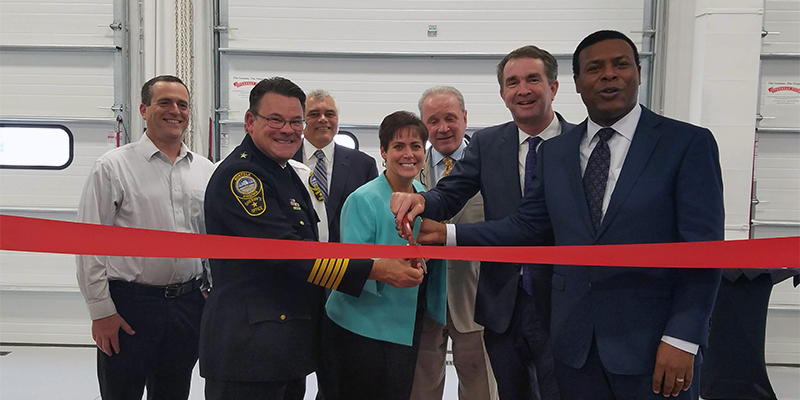 Ralph Northam joined Priority Automotive, TCC and the Norfolk Sheriff’s Office on Sept. 27 to unveil the automobile dealer’s new Priority Technical Training Center in Chesapeake, where 16 nonviolent offenders from the Norfolk Jail have already begun training for jobs as auto technicians. Built and funded entirely by Priority, the state-of-the-art automotive training center opens as dealerships across the country scramble to find highly skilled auto technicians to service vehicles that grow more technologically advanced by the day. Located just behind the Priority Infiniti dealership in Chesapeake, the center has been two years in the making. The center includes 12 repair bays and will train 16 nonviolent offenders for careers in automotive repair through a two-year certified program offered by TCC. Instructor Horace Linton with the first class of students at the training center. Classes started in September and will end in May. Trainees will attend class full time two days a week and work at Priority dealerships three days a week. After successfully completing their second semester, trainees will be offered full-time jobs at one of 14 Priority dealerships across Hampton Roads. They will also have the opportunity to continue their education, earn new certifications and earn an Associate of Applied Science in Automotive Technology from TCC. Ellmer said he got the idea during a trip to Fiji, where he met a tour guide who earned a tourism degree while incarcerated in a local jail. “I thought, ‘Wow, we have to do something like this back home,’” Ellmer said. Not long after his return, Ellmer shared his idea with former TCC President Edna Baehre-Kolovani, who loved the idea. The pair approached the Norfolk Sheriff’s Office, where Lt. Col. Mike O’Toole helped bring the concept to life. In fact, it costs Norfolk taxpayers an average of $26,000 to house a single offender for one year, said Norfolk Sheriff Joe Baron. Baron’s office has been instrumental in implementation of the program by evaluating and selecting participants, providing transportation to and from class and work, and providing tools and facilities for inmates to study and complete homework assignments. The Norfolk Sheriff’s Department has had a work-release program in place for more than 30 years, with inmates working at businesses in the community.